Internet has changed the way now we do business. With the rising trend of smartphone users, online shopping can be done from anywhere with just few clicks. Your customers may search for a specific product online, but they may not know that you have it in your online store. You should make people know about your offerings. In the competitive industry, where everyone is fighting to grab the market share, what an eCommerce business should do to survive? The answer will be: choose the right eCommerce strategy and market. In this ever increasing competitive world, for keeping stability in business, you have to aim for the right opportunityf. Making a complete digital marketing strategy is the core of all business. Almost 90% of the total internet users use search engines to find out information and these have the huge capacity to drive traffic to your website. Still very few entrepreneurs know the basic rules to tap into this resource. Proper SEO, engagement in social media channels, webpages with rich content, PR, Pay Per Click advertising are some of the major factors to be considered to get a good traffic on your website. According to Mary Meeker’s 2014 Internet Trends report, because of the growth of smart phone usage over the past few years, now, 30% of the total mobile users are smartphone users. All of us know that, as a part of the larger retail and commerce industry, eCommerce is growing fast but do you that m-commerce is growing at an even faster rate? 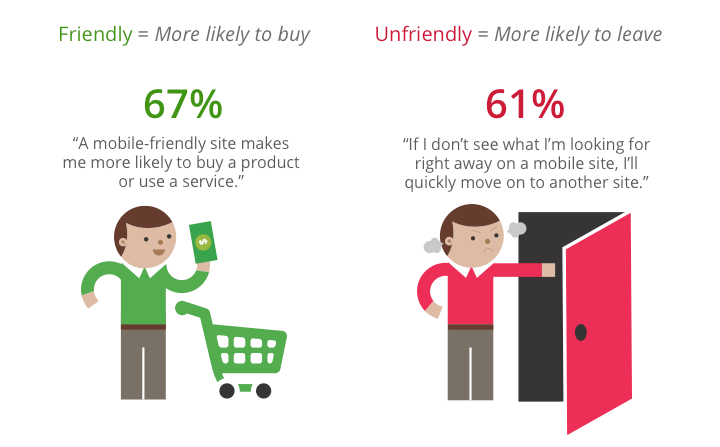 If you fail to provide mobile friendly shopping experience to your customers, then you are missing something for sure. It will be a disadvantage for your business as well. The majority of the eCommerce business is also sufferingmainly because of the inability to offer real customer service in the online stores. Most of the online stores leave visitors alone to figure out products or services by themselves, which experiences like walking to an empty store without any sales person. One solution for this could be adding live chat for eCommerce website. It specializes in offering real-time assistance to the website visitors and thus drawing most of the revenues by selling products to them. So what will be the solution? Use live chat’s ‘Proactive Chat’ feature to engage with them proactively. It enables you to offer assistance at the right time and stop themfrom abandoning your website. People come to your website and may get confused with your products and offerings. Worried? 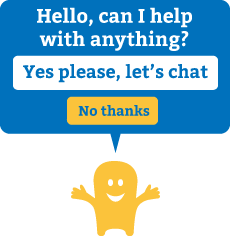 Add live chat solution to your website and start chatting with them to solve their queries. Live chat offers ‘Analytics’ feature which helps you to know your website visitor’s geographic location, IP address, country, past visits, etc. So now you can start personalizing chat sessions with them in their own way. Implementing live chat assistance in your website’s checkout page will certainly bring great improvements in the sales conversion rates. At the buying stage, you want all your eggs to remain in your basket. If an egg jumps out with doubts like related to your delivery or refund policies, it can be caught and consolidated with the help of live chat. Traditional support solutions like email or phone are not applicable in this context because of the high response time and they also include a media-switch which may lead to cart abandonment of the buyer. In some cases, you may have a better set of product features than what your competitors offer, but you will find it very tough to tell your clients about the difference. So in that case,competing on customer service is often the best way to win. Add live chat and enable your customers to chat with your agents whenever they need any assistance. Your excellent customer service may turn the game and make your brand most popular amongst all of your competitors. One single thing that would be considered for selling a product online is images. It also would not work vice versa if you design your eCommerce website with images but no product description. Don’t forget that people want to see it before they buy. One of the main ingredients of increasing eCommerce conversion rate is having high quality images of your products with description. Display your products from different angles and make them zoomable. • As per the 2009 survey on 2000 online British adults, commissioned by Click and Buy, a leading internet payment system, 50% of those who regularly shop online said that if their preferred payment method is not available, they will cancel the purchase. So, adding payment options like PayPal or Amazon payments, and COD (Cash on Delivery) mode makes you win over at least some of the customers you would lose otherwise. 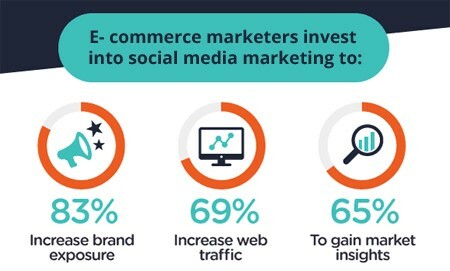 Suppose you are not as big and popular as Amazon and you also don’t have the 6 digit budget at your hand for your eCommerce business strategy, monthly marketing and website development expenses. Now, is it still possible to build trust and accumulate a loyal client base? Yes, it’s possible! Start building strong and meaningful relationship with your clients. Be it a small or medium size online business, live chat will help you to take on the role of a friendly salesperson. It enables you to give a face to your online store and provide it with a sales person who can vow for your products and services. When all of your employees will act as support, your customers will get their questions answered promptly.So make each one of your employees, the PRODUCT EXPERT. According to a research, conducted by comScore’s Media-Metrix® Multi-Platform, “Consumers spend 51% of their digital time using apps as compared to mobile web at 9%.” So, an eCommerce enabled mobile app is very necessary to offer your customers a top-tier purchasing experience. Without it, you are surely going to lose sales. So Opt for it today. Apart from that, as mobile is becoming more popular, you should also make an effort to make sure that your eCommerce website is also mobile responsive. As per Google, if your website is not mobile friendly and misconfigured, you may see a drop in your search engine rankings. Your customers don’t want you to do impossible things for them. All your customers want is to get what you promised. So deliver your products on time with a big smile.Don’t make them disappointed. For example, once I ordered a dress from an online shopping site. They promised me to deliver the same with 7 ways. But I did not get that within their promised time. After waiting nearly 2 weeks I cancelled that order and never visited the site. So you see, keeping your promise is very important for customer retention. In eCommerce business, the big giants have a huge advantage over you- They are known. Now they don’t need to fight for trust and security issues like most of the small and medium sized online stores because they have already built their loyal customer base. People are already confident about their products and services. You still need to go a long way to win customers’ trust. So follow your own eCommerce business ideas and try to learn from those big giants. Just don’t copy them.